Read Tools for School – Avoid Low Back Pain by Dr. Barry Coniglio to learn more about Coniglio Chiropractic Wellness Center and our Chiropractic office in Mantua, NJ. We look forward to serving you! Call - 856-468-4200. Fall is here! The first days of school have come and gone. Now the once excited kids bend over or strain shoulders to hold the overly heavy backpacks that contain their school books and folders. Unfortunately these over filled backpacks are heading our future generations into early back pain, neck pain, headaches and disease processes. According to figures from the U.S. Consumer Product Safety Commission, more than 7,000 children attend the ER each year due to backpack-related injuries. Unfortunately, this is a trend that will continue as more schools remove lockers from their premises, and thus children are forced to carry around with them extra books and bags for the entire day. To help avoid developing this trend our team would like to help your children start strong and stay strong all year long. So please review to help make this year a healthy one! Choose a backpack with wide, padded shoulder straps and a padded back. Padded shoulder straps are very important. Not only will they be more comfortable than non-padded straps, but they will also help prevent the straps from digging into your child’s shoulders. The shoulder straps should be adjustable, so the backpack can be fitted to your child’s body. Shoulder straps that are too loose can cause the backpack to dangle uncomfortably and cause spinal misalignments, back and neck pain. Tell your child to use both shoulder straps, not just one. A backpack slung over one shoulder disproportionately shifts all of the weight to one side, and can cause not only neck and muscle spasms, but also low back pain. Pack light. Organize the backpack to use all of its compartments. A backpack with individualized compartments will help you position the contents most effectively and ensure that your child’s sandwich isn’t flattened by a heavy textbook. Pack heavier items closest to the center of the back. 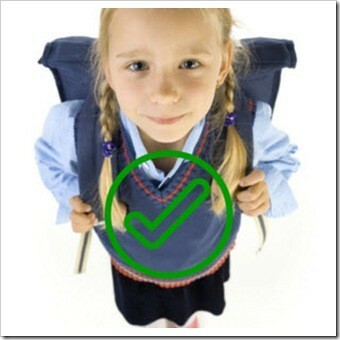 Make sure your child’s backpack weighs no more than 10 to 20 percent of your child’s body weight. Come and get your Back To School Back Pack Check Up! Bring your child’s back pack into our office so we may help you properly fit the backpack and ensure that your children’s bodies are in balance physically and nutritionally to tackle all of the new excitement this school year! Most importantly lead by example and teach them the why and how of good posture. Make it fun and persevere! Let’s Make This Year A Healthy One! Our expert team is trained to diagnose and treat all ages. We are here to help if you or your children suffer from pain or discomfort from using a backpack, sports injuries, or other common growing pains and conditions. Treatment is geared to the age of the patient, with a more gentle approach for children. We also offer advice on specific exercises that can help you and your family develop stronger muscles, and on proper nutrition, good posture, and optimum sleeping habits. This entry was posted on Tuesday, September 25th, 2018 at 1:35 pm and is filed under Health Articles. You can follow any responses to this entry through the RSS 2.0	feed. You can skip to the end and leave a response. Pinging is currently not allowed.